Today is World Mental Health Day. A day close to my heart. 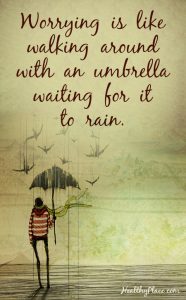 A day to keep in mind all those who struggle with mental health, whether as a temporary condition or a permanent one. I too struggle with it. As I’ve mentioned in my previous blog posts, I suffer from BPD. I’ve learnt to live and cope with it over the years. And now it’s just part of who I am, what makes me Sassie. 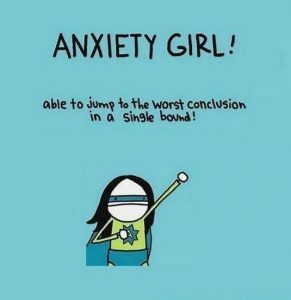 What I haven’t mentioned is that I also sometimes suffer from anxiety. Not frequently, but once in a while it rears its ugly head, especially in stressfull situations. Like when I decided to go back to school, but then started worrying that no one might wanna hire a 43-year-old, degree or no degree. Also, what if I wouldn’t fit in? Or what if it was too hard financially. Mind you, these worries came up months before I ever enrolled in school. My therapist told me not to worry about things to come, because you don’t know what’s going to happen. Wise words, but still pretty hard. A recent example: Going back to school has been tougher than I expected. Everyone told me that going back to school in your late thirties would be easier, because you’re more motivated than you are in your twenties. Well, I might be more motivated, I’m also behind on a lot of things, especially when it comes to computer sciences or accounting. Seeing how Windows wasn’t invented until after I left high school, everything I know about MS Office, I’ve taught myself. So having classes in MS Office at a pretty fast pace wasn’t working for me. That combined with some sleepless nights and no time to catch up, set off my most recent panic attack, only last week. All I wanted to do was just quit school. I couldn’t do it, I was too old, too stupid, too slow. I missed just being with my family, not being able to take my daughter to school, because I was at school myself most of the time. It was all too much. So Dries, my rock, tried calming me down. But it wasn’t working. Then out of nowhere my 6-year-old came to me and asked me what was wrong. When I told her I was scared I wouldn’t be able to cope in school, she told me she was also scared about learning to read. But she told me that if we practice enough, we can do it. Here was a 6-year-old giving me a peptalk, advising me to tell myself: I can do this! How amazing. Of course that totally calmed me down and convinced me I can do it. I have to do it. For me. For her. So now I’m slowly catching up and trying not to be too stressed out about it. My point being: once I start panicking I can’t see the wood for the trees. And I’m a lucky girl to have 2 rocks in my life. Just goes to show, no matter how small you are, you should believe in yourself. So that’s what I’ll try to do. Wait and see what the first exams bring and then worry about the rest. I love you Sassie! 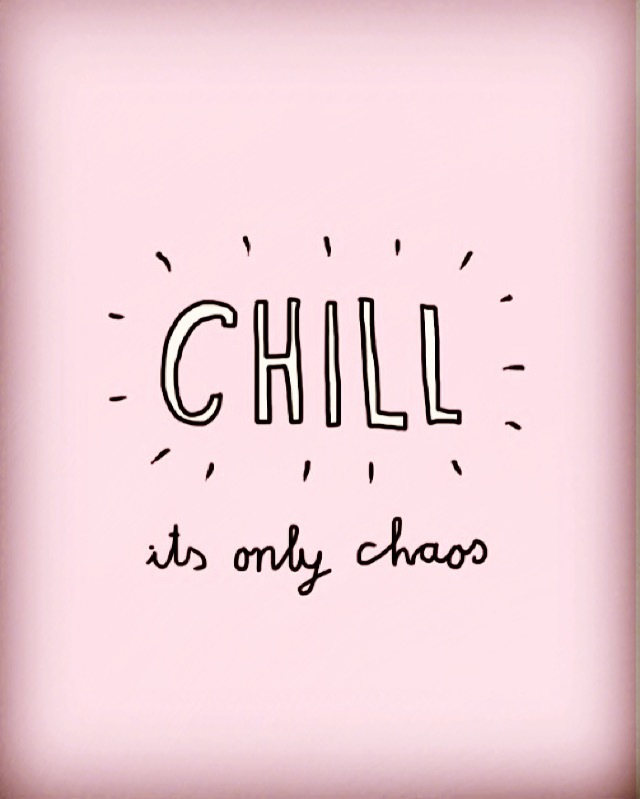 I think that “chill, it’s only chaos.”is going to be my new life motto. It’s a pretty good motto!